In Chapter 29, Job is giving an account of what his life was once like. I wondered after reading today, what am I known for? Is it as a follower of our Christ? Is Christ evident when I share life with others? Is Christ felt through my actions, words, deeds? "Already" it is almost the middle of August. "Already" we are in the second half of 2017. 2017!!!!! "Already" I have lived over halfway to 100. "Already" I have been married for 34 years. "Already" I have born and attempted in the raising of two sons. "Already" they are now young adult men with families of their own. 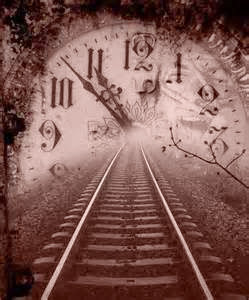 "Already" time has passed and never to be regained except as a memory. "Already" have many opportunities been given to lead others to Him. "Already". Too fast. Too soon. Are the ripples we create known for being His?